Kina Cliffs is an 8 acre seaside vineyard near the towering cliffs of the Kina Peninsula, 30 minutes drive from Nelson. 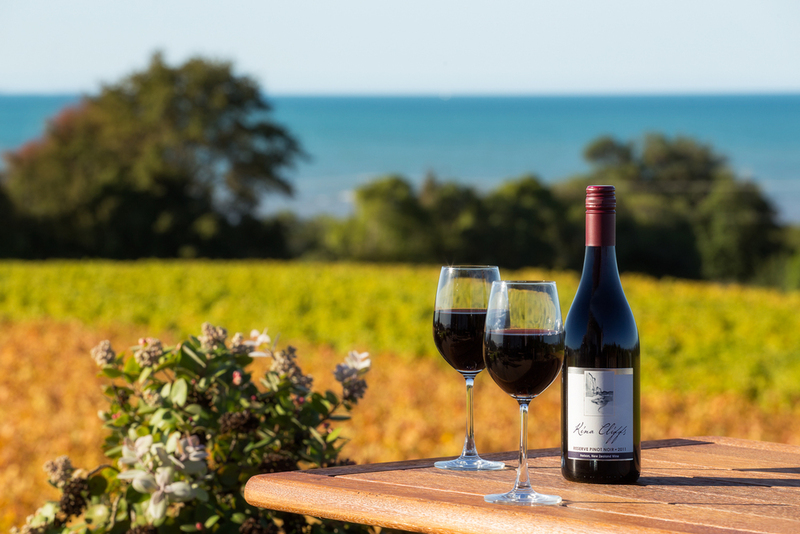 During summer you can visit the cellar door and chat to the owners Julie and Al, pat their friendly dog Ralphy and taste award winning, single-vineyard wines, whilst taking in the spectacular 270deg sea and mountain views. 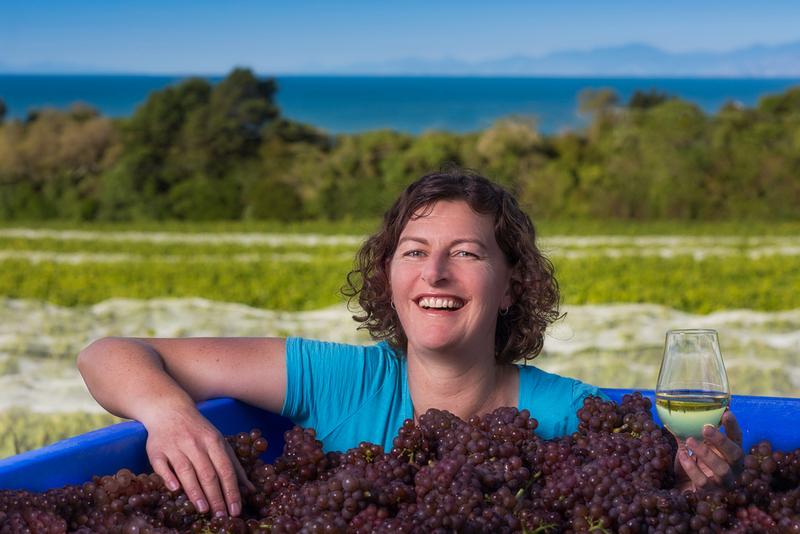 The vineyard is hand tended by Julie and Al to produce exceptional wines with ripe, full flavour due to the low yields, plentiful sunshine, sea breeze and Moutere clay gravel soils. Nearby you can play golf on the cliff tops, eat at NZ’s best café, drink locally roasted coffee, walk along the beach under the cliffs, cycle the great taste cycle trail, visit art galleries, have a swim or go camping on the beach front.